Serious policy differences between the usually secretive members of the House of Saud have turned into a feud that is threatening to unravel the carefully constructed façade of dynastic rule maintained by bribes and terror for more than seven decades. Personal ambitions, coupled with fears that they may not survive long in power if the US flees Iraq after its defeat, have resulted in some strange public behaviour by Saudi royals. 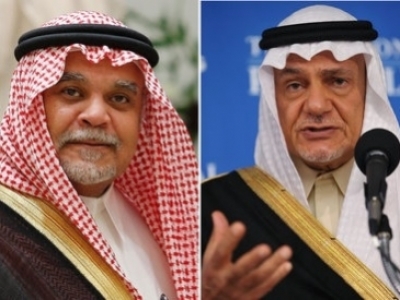 The personal feud between Bandar bin Sultan, former ambassador to Washington and current national security advisor to the king, and Turki al-Faisal, former Saudi intelligence chief, who replaced Bandar in Washington and served for only 15 months when he abruptly resigned and returned to his country on December 12, brought the feud into the open last month. Adel al-Jubeir was named the new Saudi ambassador on December 23, but the spat is likely to continue. To appreciate the gravity of the problem in the Saudi ruling circles, bear in mind that Bandar and Turki are not only cousins—their fathers, Sultan and the late king Faisal, were brothers—but Bandar’s wife is Turki’s sister. Such close relations, however, have not dampened their penchant for intrigue and backstabbing. Bandar is known to be a ruthless operator who has wormed his way up the ladder despite being quite junior in the Saudi family hierarchy. He enjoys several advantages over Turki: Bandar’s father Sultan is not only defence minister but also the crown prince. If king Abdullah were to die or otherwise be disposed of, Sultan would become king. Second, Bandar spent 22 years as ambassador in Washington and cultivated close personal links with leading figures in the American establishment. Although he is no longer ambassador, this has not prevented him from dealing directly with the Americans, bypassing Turki, who took this as a personal slight. 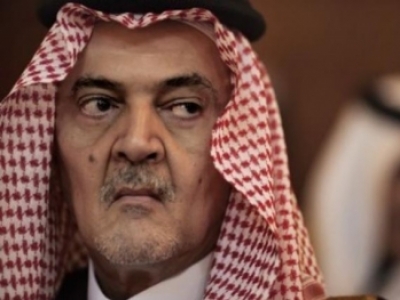 Saud al-Faisal, Turki’s brother, is the country’s foreign minister and has been for several decades, but he is known to be in poor health. Bandar has his eyes set on the post to position himself for eventual succession to the throne. The most recent spat between Bandar and Turki arose over whether the US should deal with Iran or not, a proposal floated in the Iraq Study Group (jointly chaired by James Baker and Lee Hamilton), to enable the US to extricate itself from Iraq. Turki had suggested that the US should deal with Tehran; Bandar advocated the opposite. Bandar used Nawaf Obaid, a Saudi embassy consultant, to write an opinion piece that appeared in the Washington Post at the end of November stating that Saudi Arabia would intervene in Iraq to “protect the Sunnis” if the Americans pulled out and that it would also raise oil production to cripple Iran economically. Turki was infuriated by this public affront to his authority and he promptly fired Obaid, not realising that his upstart cousin was behind the move who had visited Washington and secretly met Condoleezza Rice, according to media reports (Washington Post, December 14 and 15), urging the US not deal with Tehran. Turki has publicly urged Washington to deal directly with Tehran on several occasions. Appearing at the Centre for Strategic and International Studies on October 4, 2006, he was quoted as saying: “I think for the United States not to talk to Iran is a mistake. We’ve found in our experience that when we did not talk to Iran—our relations were broken for a period of a few years in the nineties—we had more troubles with each other”, according to the Agence France Presse report of December 15. The issue, however, is not merely one of dealings withTehran; it is much broader and has to do with an internal power struggle that has serious consequences for the survival of the Saudi dynasty. During his tenure as ambassador, Bandar was known for his lavish lifestyle and wild parties. 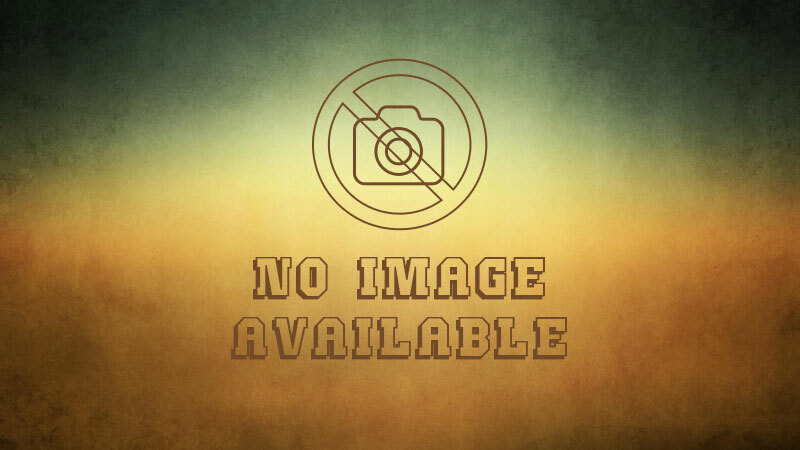 Alcohol, women and political intrigue were the order of the day at the parties thrown by the personal representative of the “Guardian of the Two Holy Places of Islam”. From political insiders to the Hollywood crowd, all participated in Bandar’s wild extravaganzas. This is howWashington functions, according to Alan Gottlieb, Canada’s ambassador to Washington between 1981 and 1989. In his recent book, Washington Diary, Gottlieb, a career diplomat, confirms that in Washington one has to act as a lobbyist rather than as a diplomat to get anywhere. He offers other tidbits as well: personal rapport with key players in the White House and the State Department is essential to achieve anything in Washington. Bandar realized this long ago and used it to the fullest. One wonders what the pretentious puritanism of the Wahhabis would say about such behaviour. In the kingdom, Bandar would not only be lashed for consuming alcohol but he would also have to be stoned to death for adultery. Presumably, for members of the ruling tribe, it is permissible to abandon all morality and adopt the “anything goes” lifestyle. Bandar’s other “achievement” is his close links with zionists in Washington. 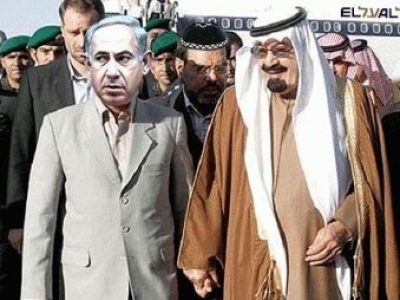 Saudi Arabia has no diplomatic relations with Israel, but that has not prevented Bandar from dealing with thezionists directly, the most recent encounter being a secret rendezvous last October. Bandar joined the Jordanian king Abdullah, Egyptian presidential advisor Osama el-Baz and Lebaneseprime minister Fuad Siniora to meet Israeli prime minister Ehud Olmert in the Egyptian resort town of Sharm el-Shaikh. The purpose was to form an anti-Iran alliance after the defeat of the Israeli army in Lebanon. The first step would be to neutralise Hizbullah, which Siniora promised to do: a boast that is unlikely to be realized. Both Olmert and Bandar, however, pledged their help and support. While Israel could offer military and intelligence—Mossad being very active in almost all Middle Eastern countries—Bandar promised something much more: he pledged to work actively for the assassination of Hizbullah leader Shaikh Hassan Nasrallah. Similarly Bandar had played a role with the Central Intelligence Agency (CIA) in the attempted assassination of Shaikh Seyyed Fadhlallah on March 8, 1985. A car bomb, planted by the CIA near the mosque where Seyyed Fadhlallah used to deliver his Friday khutbah, was timed to go off immediately after the prayers. In a break with his regular routine, Seyyed Fadhlallah left the mosque ahead of schedule that Friday, thereby surviving the bombing; 92 other civilians were killed and more than 200 injured. When news of Seyyed Fadhlallah’s survival reached Bandar in Washington, he panicked, according to Bob Woodword in his book, Veil: The secret wars of the CIA 1981-1987. But Seyyed Fadhlallah was magnanimous; he only asked that families of the victims be compensated. Bandar was more than happy to pay the two million dollars that were allotted to victims’ families. Bandar has perpetrated other crimes to advance his personal career. He would not hesitate to undermine his cousin and brother-in-law to achieve his ambition. The only unknown in his determined campaign for power may be whether the House of Saud will last long enough for him to succeed in seizing the throne.